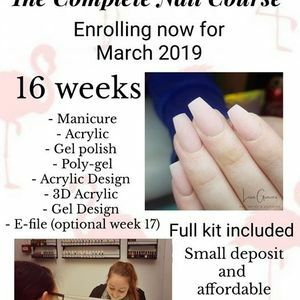 in your career as a nail professional. This course has theory written exams and practical assessments. Salon, or mobile working knowledge and advice. Plus an extra qualification if you attend the add-on efile course on the 17th week. guidance, Ongoing support, On-line support group. The student will work on themselves for some sessions. 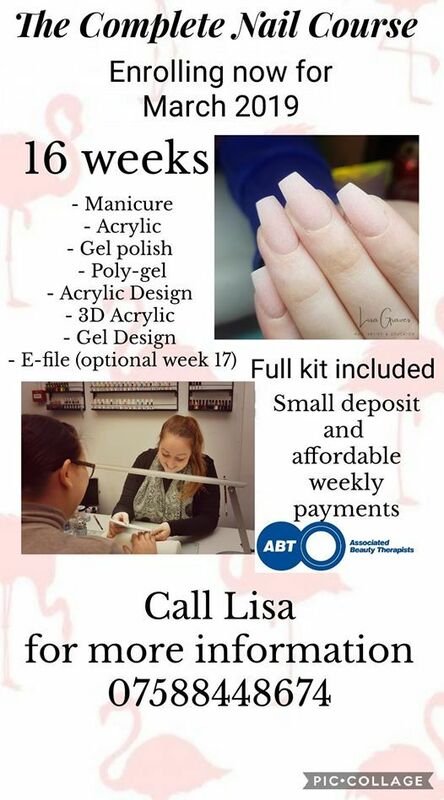 Weekly payments of £35 for 16 weeks. All payments made are non refundable and non transferable. 100% attendance is needed to complete the course. Certificates and qualifications will be given on the final week.